This could be a dish to serve to a book club if you make it ahead and then shred the duck and use it in a salad or pasta. 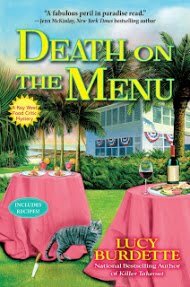 But it’s also something Meg and Seth might eat on their honeymoon in Seeds of Deception, when they visit some rather nice places (before the dead body complicates things). This recipe takes three days. Don’t panic—most of that is just waiting. In June, when I was in Ireland, I stumbled on Fields Market’s prepared food section. I’ve already raved about Fields, and although in general I’m not a big fan of pre-made entrees, a package of Confit of Duck caught my eye. I will eat almost anything that is made from duck, but it’s hard to find in our area, and when you do, it’s usually frozen and/or tough. 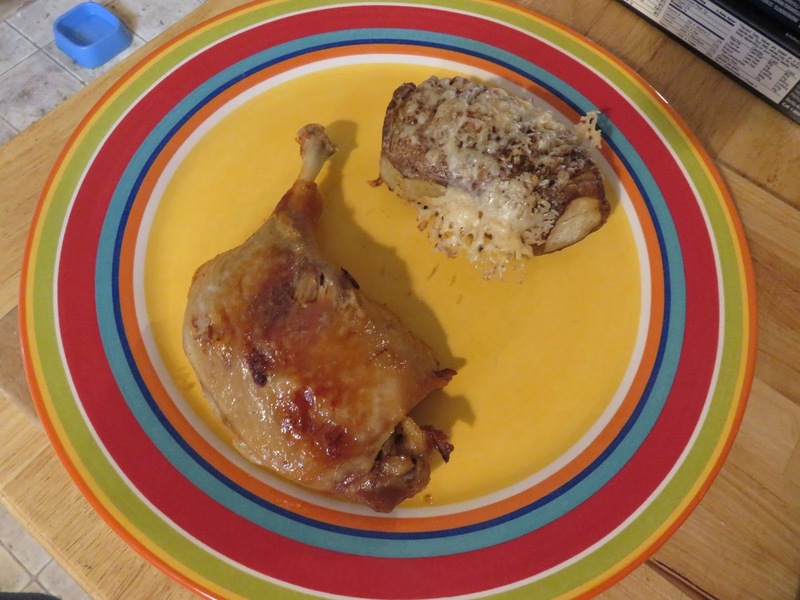 But at Fields, a package with two (non-frozen) duck thighs/legs was only 5 euros, so I figured, what the heck? I bought it. And a couple of days later I went back and bought another package—it was that good. All I needed to do was to preheat the oven and slide the container in (after tossing the completely unnecessary plastic packet of orange sauce), then drain off the excess duck fat halfway through (yes, duck is fatty—deal with it). The duck was flavorful and tender. 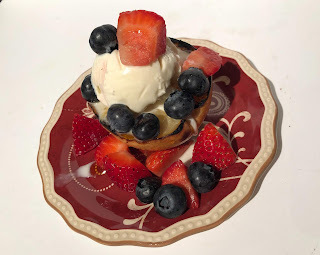 I loved it--all four times I ate it. But three thousand miles from Fields, could I replicate it at home? I’d always heard that a confit involved long cooking and a lot of fat. Both true, but not really a problem (okay, don’t eat confit every day of the week if you’re worried about fat—save it for a treat). The recipe is simple. The only difficulty is coming up with a container of duck fat. Which I had! A treasured container of the precious stuff, that I’d been saving for a special occasion. The occasion had arrived! In a deep roasting tray, melt the fat. 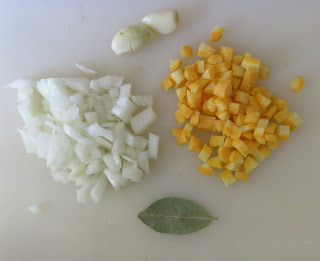 Add the vegetables, bay leaf and peppercorns. Add the duck legs. 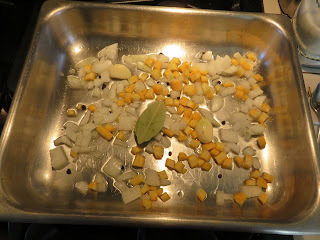 Cover with a lid or aluminum foil. Cook for 2 hours. 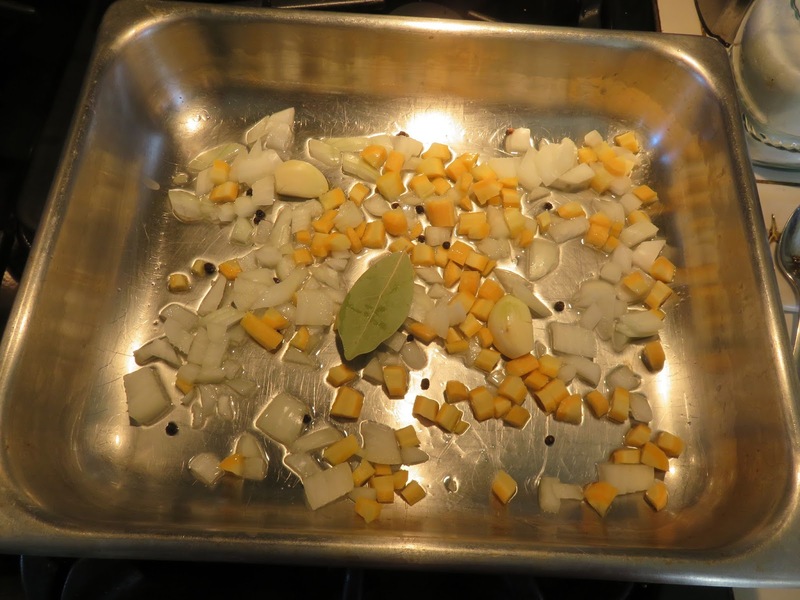 Check occasionally to make sure the fat is not bubbling (i.e., the oven is not too hot). Cool overnight, then place in the refrigerator for 2 days (covered). 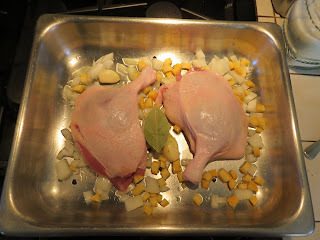 Note: the cooked duck will keep in the fat for up to 10 days. To serve, remove the duck pieces from the fat. Preheat the oven to 350 degrees F. Place the duck pieces skin side down in a roasting pan and cook in the oven for 15-20 minutes, or until the skin is crisp. Serve hot. 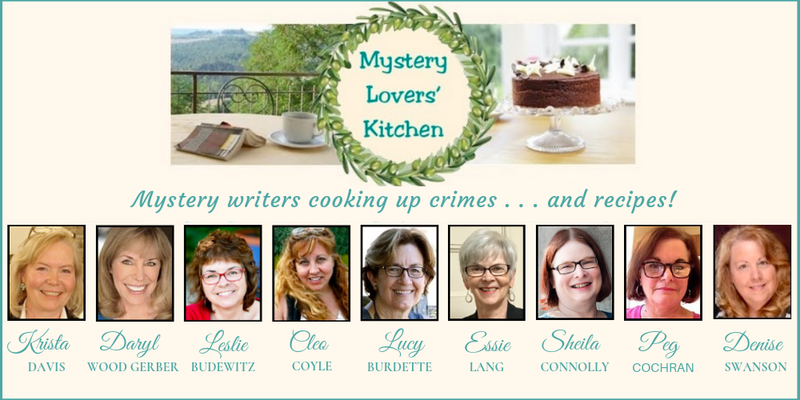 A lot has been happening in the Orchard Mysteries lately. Meg and Seth got married in A Gala Event, and they’re taking a honeymoon in the latest book, Seeds of Deception. But any time major changes take place in our characters’ lives, we writers wonder how our readers will react. --Cozies are often closely tied to their small town setting. Is it all right to take them out of town now and then? Or do readers miss the regular cast of familiar characters? --Marriage is a life-changing event. Does having the long-standing protagonists in a series marry (or at least move in together) change the story significantly? For better or for worse? --Do you enjoy learning more about Meg’s past? Her parents have appeared more than once in earlier books, but the new book takes place in their territory (in New Jersey), and involves elements from their past that even Meg didn’t know about. 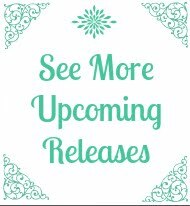 What kind of balance do you like to see between getting to know the characters better and solving the crime? --Are Meg and Seth workaholics? They seem to have forgotten to plan a honeymoon, and then plotted one on the spur of the moment. Is that emotionally believable? What does it tell you about their relationship? 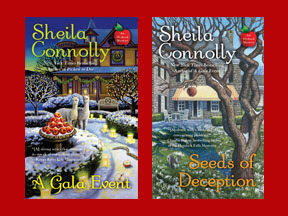 Since Meg and Seth have managed to survive a visit to the inlaws complete with a corpse, I'm giving away copies of A Gala Event (when the wedding takes place) and Seeds of Deception (with its rather unusual honeymoon). Leave a comment by Sunday night and I'll pick one winner for the pair. Seeds of Deception will be released October 4th. Find it at Amazon and Barnes and Noble. Sounds like my husband and me. We got married, had a one-night honeymoon, and went back to my apartment to move to another state the next day. 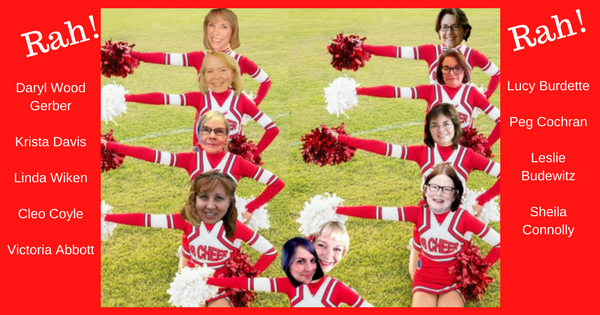 We're still together, after 40 years. Thanks for entering! 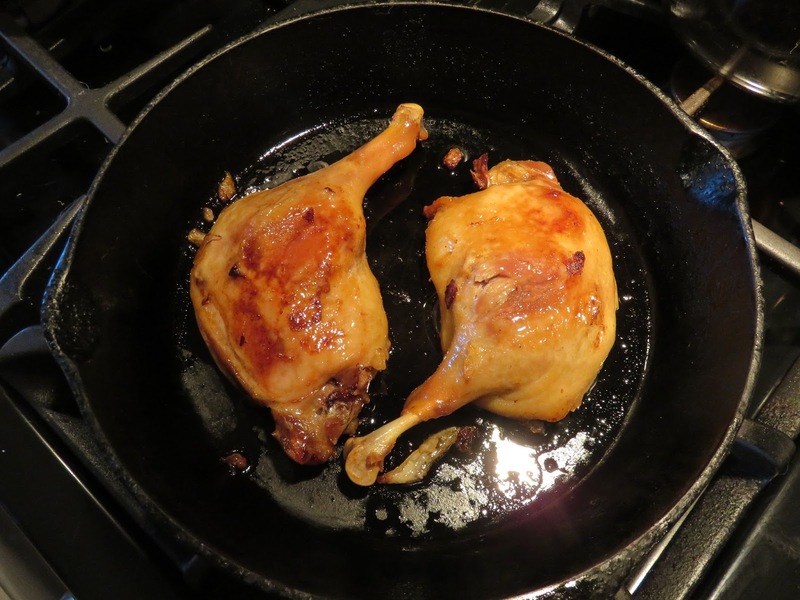 I love duck confit! So delicious. 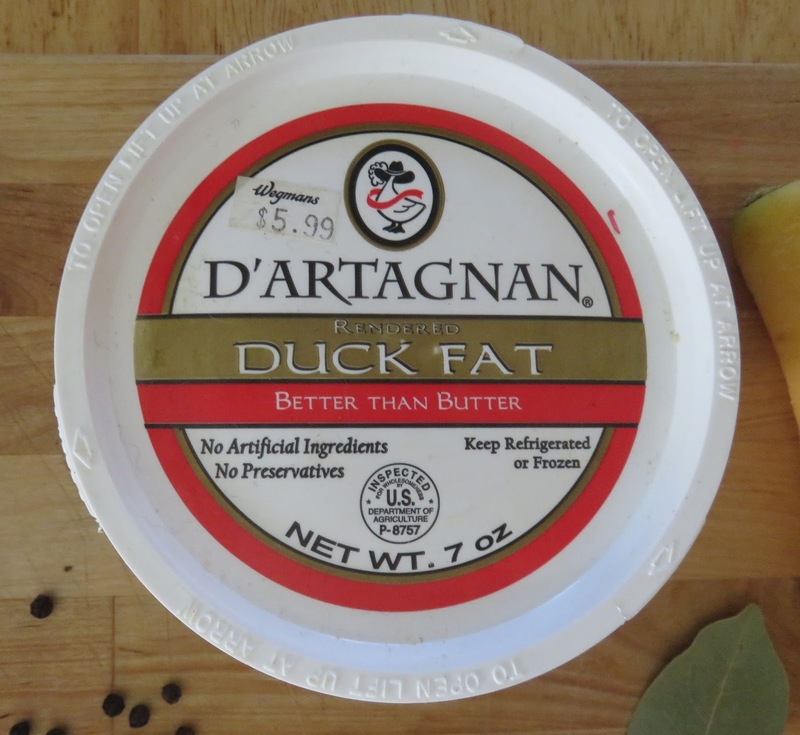 I was happily surprised by how easy it is to make--as long as you can find duck fat. It must be around somewhere. And if your duck happens to be tough (they fly a lot, right? ), this long slow cooking really tenderizes the meat. I've seen duck fat at Fresh Market. Probably at Whole foods, too. We were married on Saturday. My husband didn't have any vacation days, but his boss was nice and let him take Monday off. We had a friend's house on a river to use. As luck would have it, the weather was too damp and cool to enjoy outside, but too warm to light a fire in the fireplace. As we were leaving to go home the sun came out and we saw a scarlet tanager. It must have been an omen. We've been married 45 years this coming May! 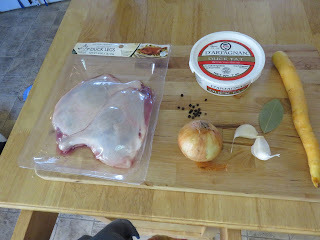 As to the recipe--good duck is wonderful! Flabby duck is the pits. This sounds lovely. Interesting that there is so little seasoning. Question: Does the duck cool all night outside the refrigerator? You do have to get rid of some of the grease. But I find chewy duck frustrating. I could say, add salt to taste, but not in the first cooking. And yes, it sits out all night. 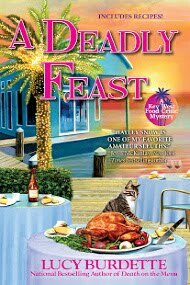 The authors swore that the meat keeps for days when well covered with the grease, but I wasn't about to wait that long. We didn't have a honeymoon either but seem to have endured. I think Meg and Seth will be just fine. I don't know if I've ever eaten duck. 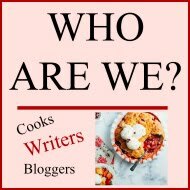 I can't remember if my husband shot and cooked one early in our marriage. He shot and cooked something that flew, but was it a duck? I would love to read both of these books. My husband and I will be celebrating our 37th anniversary next week. We spent a week on Catalina Island. Usually people only go for a couple of days, but we stayed a whole week. Had a great time. 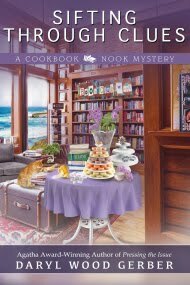 Being that the Orchard Mystery series is my favorite New England bases cozy mysteries, and how much I love reading about Meg and Seth, I still have not read a Gala Event yet due to having had a foster child here for many months and then problems with my vision, but cataract surgery is coming up soon, so now I will be reading noon stop. I love this series and would absolutely be thrilled to win a copy of both or either of the last book and Seeds of Deception which I was going to pre-order. With all the cooking that I have done in my almost 53 tears of marriage (being married on a Thursday/Thanksgiving Day and having a three day honeymoon), I have never ever made duck confit. I just do not think that I could ever leave food out of the refrigerator like this recipe says to do. But I would try it and refrigerate and hope for the best. 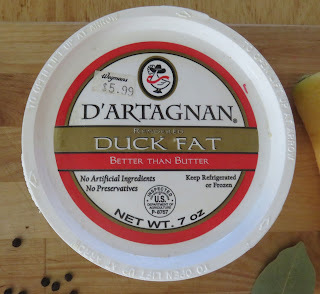 I believe that Price Chopper grocery stores here in MA sell container of duck fat, and some stores will order if for you if you request it. 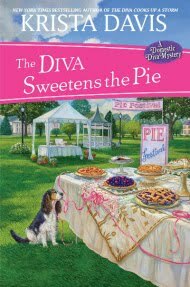 I am going to keep my old crooked fingers crossed to win this or these books as they are definitely a favorite series. 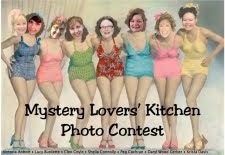 Fancy Pants reci really enjoy the Orchard mysteries and would love to win and continue on with the married couple. I agree that having your character get married doesn't change the story for the worse. I think it's nice. I'm anxious to see what else comes their way. Will we see Rachel's baby in the new book? Thanks for your generosity!! Would love to read these books! My husband and I didn't plan a trip for our honeymoon. We had a small wedding and went away for the weekend. Looking forward to reading "A Gala Event" and "Seeds of Deception ". Growing up, my family always had roast duck or roast goose for holiday meals instead of turkey. Looking forward to trying the duck recipe and reading these two new books. dbahn(at)iw(dot)net. This recipe sounds so yummy! brichardson0056(at)yahoo(dot)com. love your books..haven't read these..